By Firefox, February 12 in The Workshop! Anyone know where I can get those? 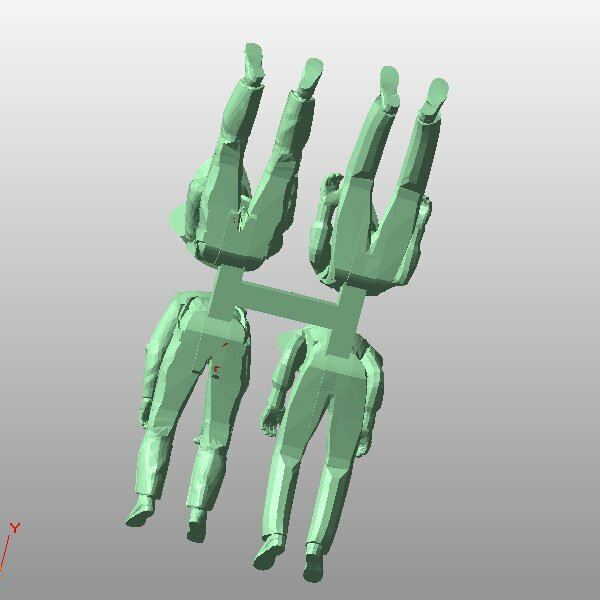 I search Shapeway, but can't find any. Here’s some 1/48 pilot standing. You’re welcome. I guess it’s best to post this in the Wanted Section for more exposure. 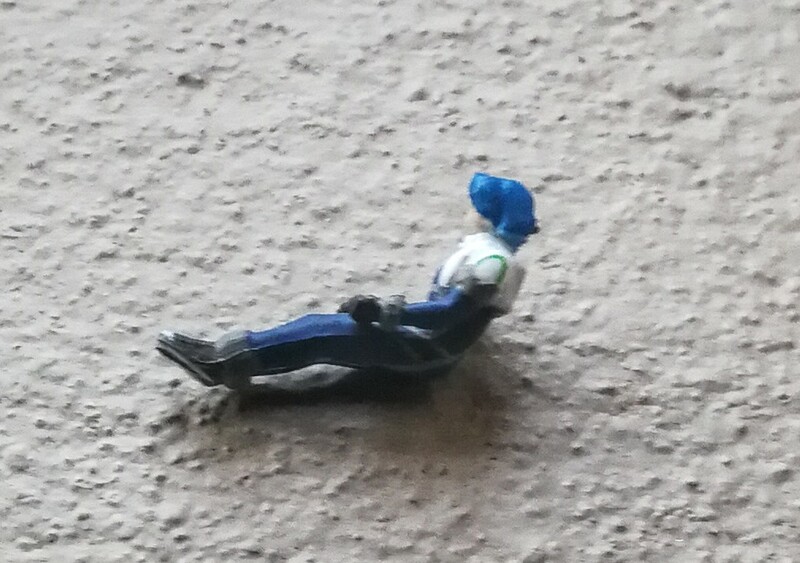 I did try to put a 1:48 pilot in the DX VF-1J but the legs and hands were not well oriented. 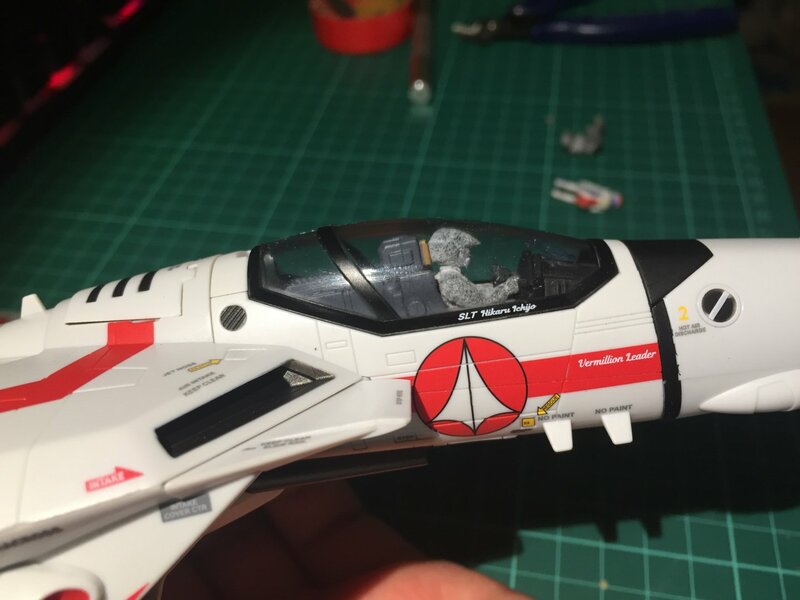 After reading your post, I decided to slightly change my 1:48 pilots and have these printed. I don't know if they will fit the VF-1J, I will let you know. If the printed material is plastic and allow some sanding and cutting, then I can managed it. 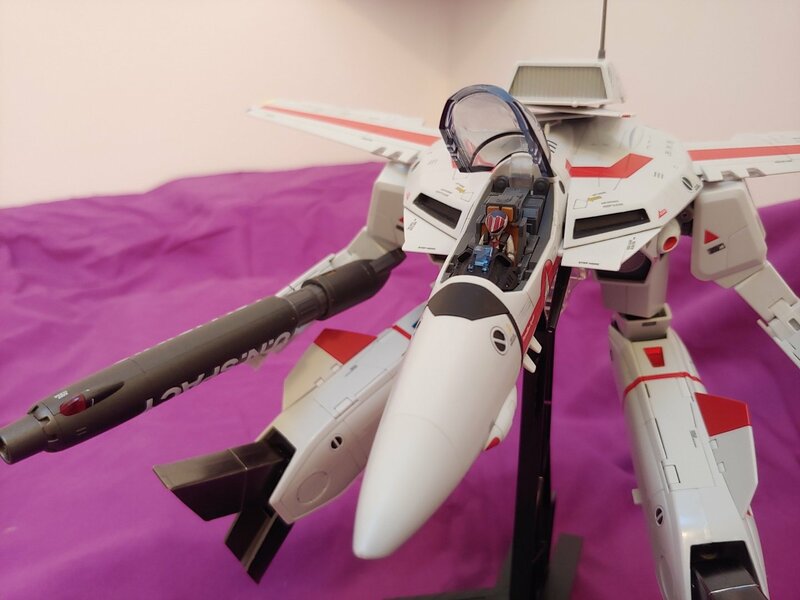 The DX VF-31 is loosely 1/60 scale, but I think it is slightly smaller than actual 1/60, hence Bandai hasn't put the scale on the box. 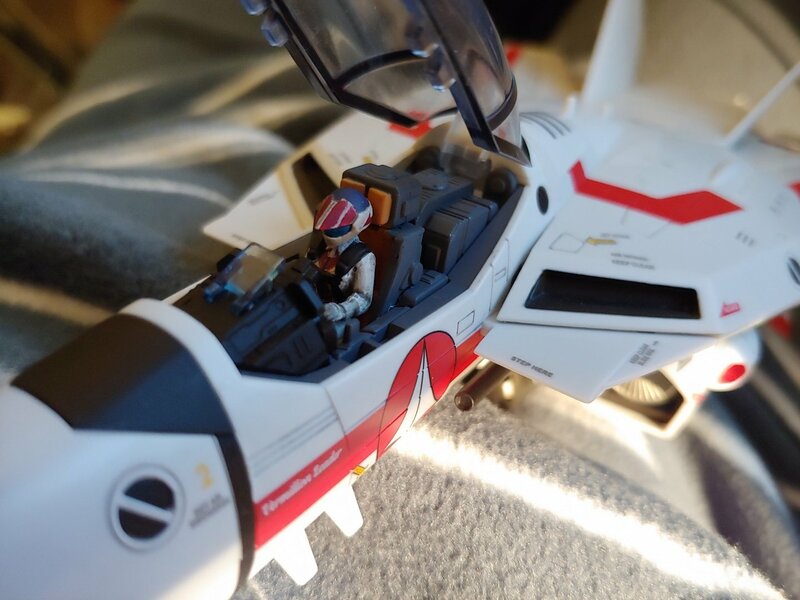 The VF-31 themself are 1:60 but because they needed a lot of space for their mechanisms, they have put a straight leg pilot in here, and he is rather small scale compared to a properly scaled pilot. Wow, nice. Any females in there? Haha and I just realized that I made left-handed pilots! 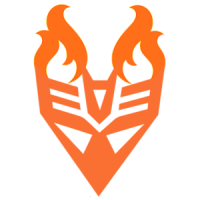 @Xigfrid is the printing material as strong as the Tamiya plastic sheet? Or is it more fragile than that? Also any chance you can make a set of DX VD-31A wings? 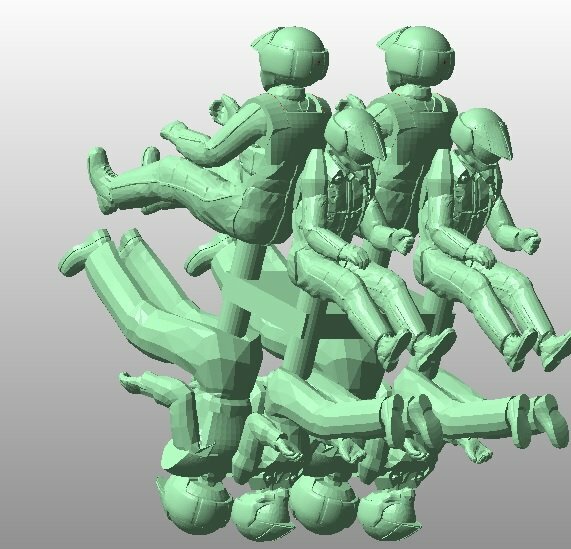 Concerning the pilots, there are male above and femal below... I know this is not that obvious As print material, I prefer to use resin UV cured printer to obtain fully detailed surfaces and smooth finish. But I have also used basic SLS plastic or HP plastic and both were giving good results once painted. 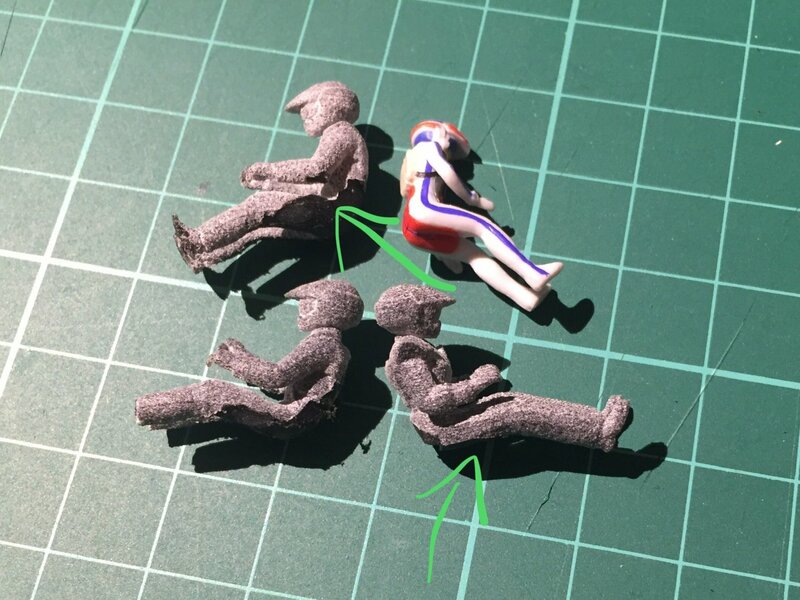 I don't know Tamiya plastic sheet, but for the size of a 1:48 pilot hand and fingers they are all fragile and you better avoid these to fall on the floor. 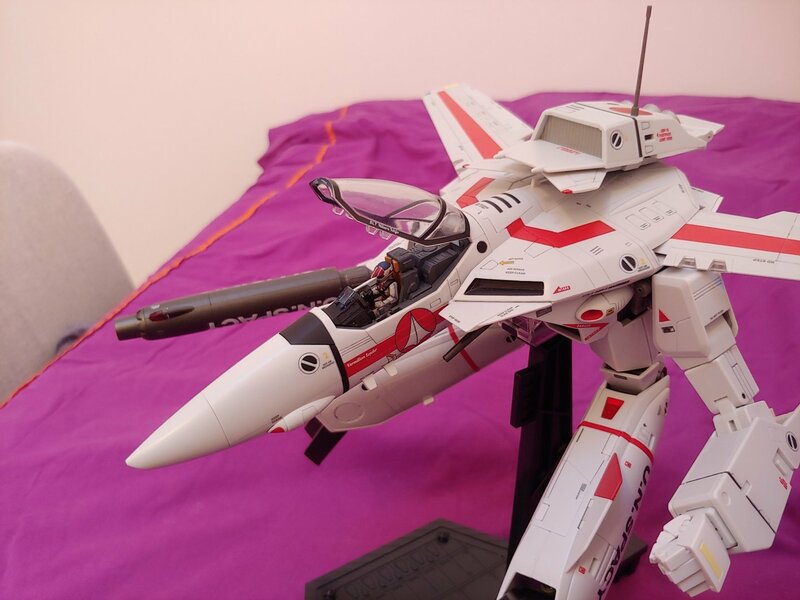 No, I am not doing DX VF-31A wings soon, why should it be needed ? 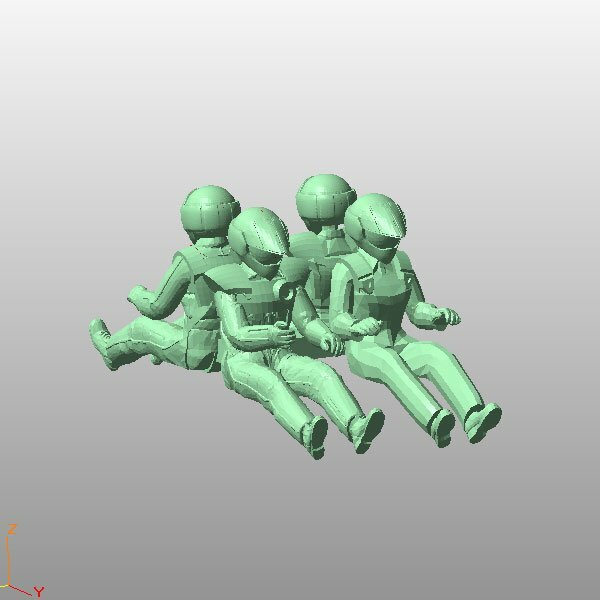 Are the pilots available on Shapeway? 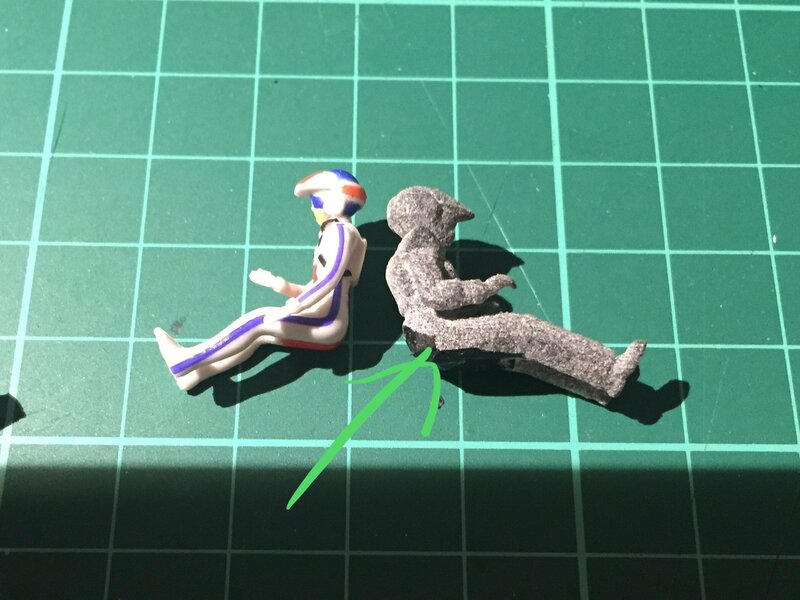 @Xigfrid Any news on these 1/48 and 1/60 pilots? Are they available for purchase? 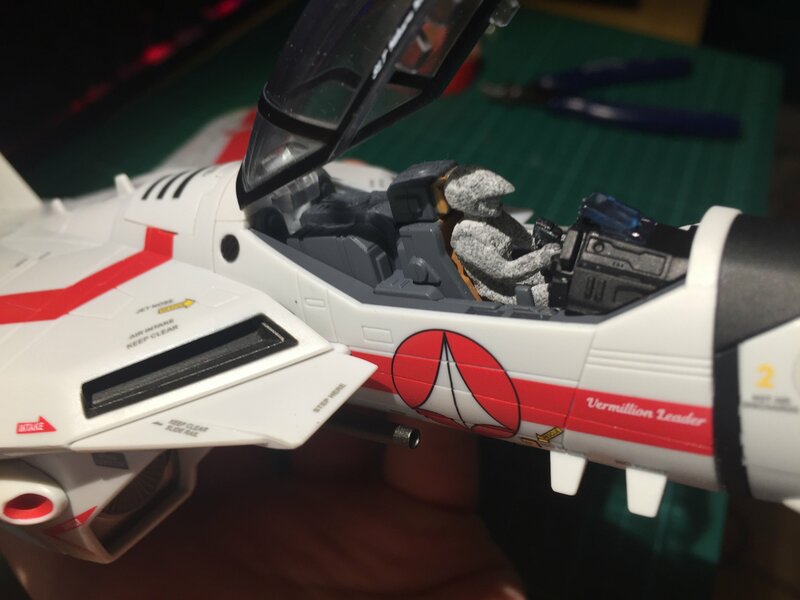 For the VF-1J, there is more room for a 1:48 pilot but somehow, the chair is too high, so I had to sand 2mm of the pilots’ buts so they can fit inside comfortably and have clearance on the top of their helmet. I made a set of 4 different pilots: male / female / TV / DYRL. I hope you will like them. 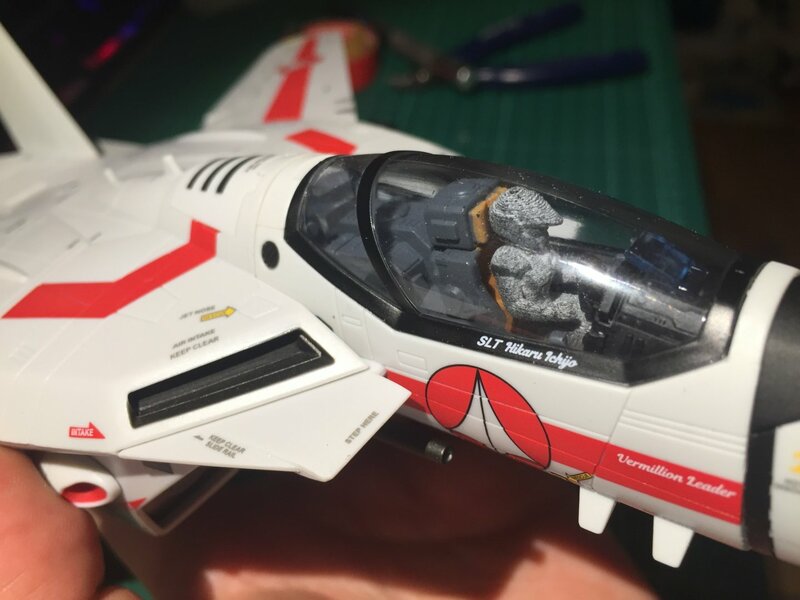 Note that I tried to fix the model again by removing some material on the butts, but you may have to sand a bit more to perfectly fit the Bandai DX VF-1J. 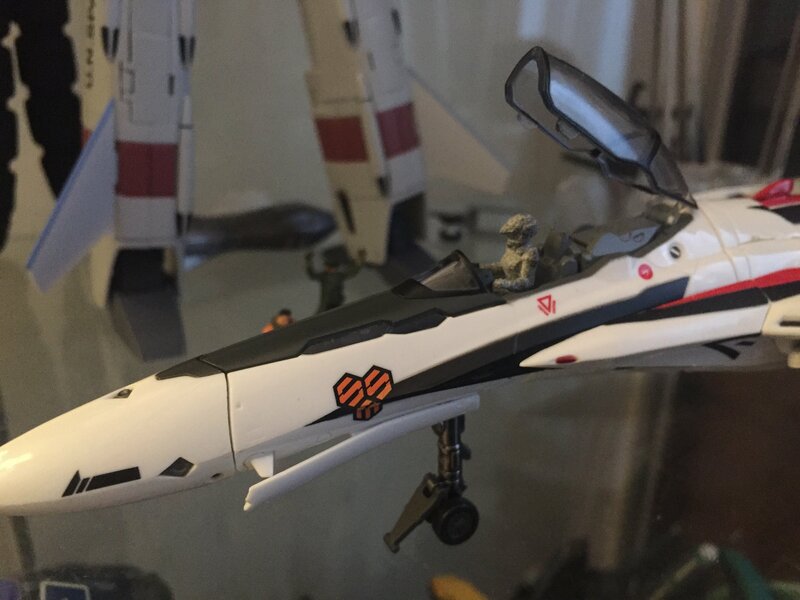 I think it'll be fine for my Yamato 1/48 VF-1. Yamato pilot is larger than the Bandai. 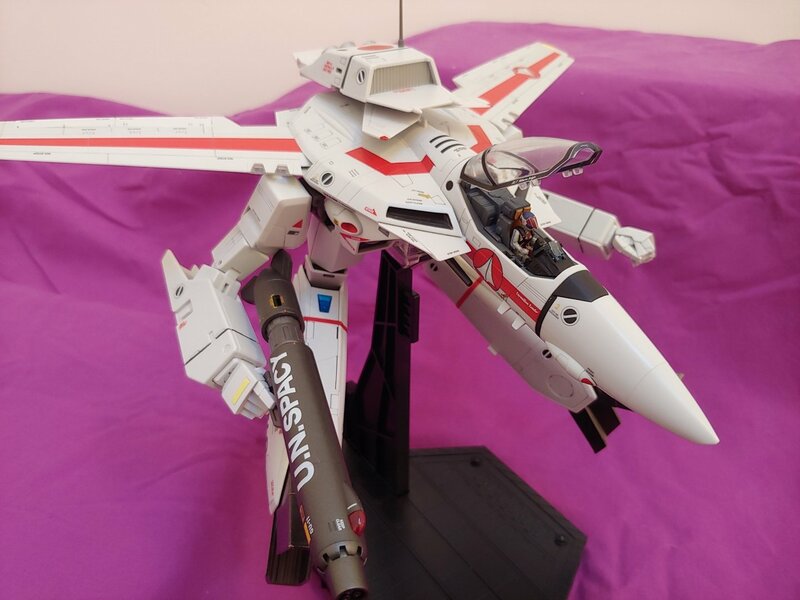 Any luck with the DX VF-31 pilot? I won't make a smaller pilot for the 31, but I can try to cut the feet and see if they fit in. But I do think the arms will also obstruct. Hi Duymon, thanks again for the support ! 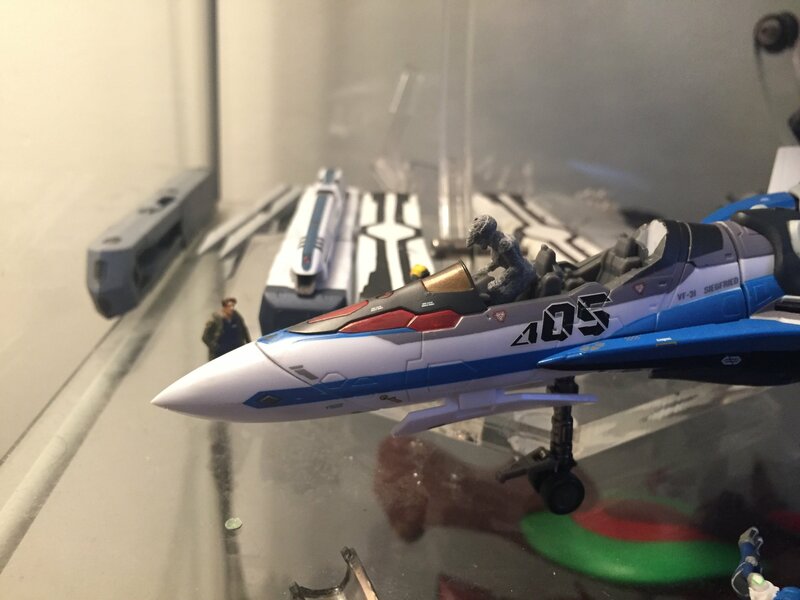 Bought the 1/48 pilot. I'll try the 1/72 pilot on the DX VF-31 then. The 1/48 pilots came in they're pretty good. 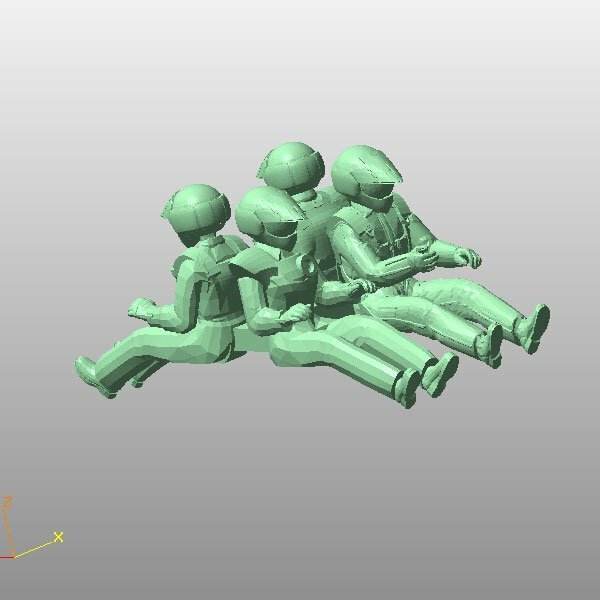 The male pilots won't fit so easily since their arms get in the way, but the female pilots work really well and you can't really tell beween them and the male pilots unless yo look at their waists and hips which are obscured by the valkyrie. That was a fast painting, and it looks really nice ! Would you mind take a new picture a bit more far away? I don't know for the arm. To be honest I like to have different poses between the male and female pilots. When I tested my male pilot, the hand forward didn't obstruct with the screen panel.